¡First Annual GumboFest A Complete Success! | ¡VidaMaz! ¡First Annual GumboFest A Complete Success! A most gorgeous, sunny yet not humid day; a historic setting; a view to die for; the joy of partying with some of the most entertaining people in Mazatlán; all the oysters, peel-n-eat shrimp, salad and gumbo (of course cake and ice cream, too!) 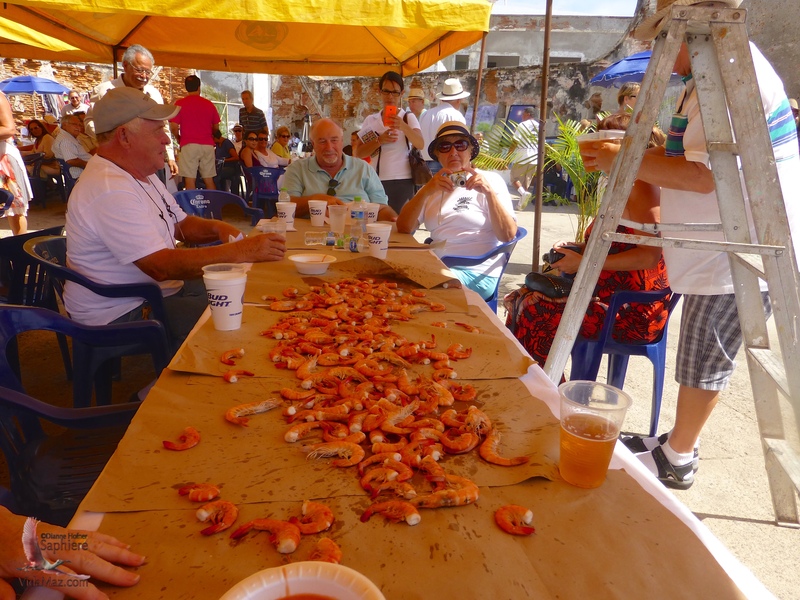 anyone could possibly consume; plus beer and soft drinks—such was Mazatlán’s first annual GumboFest! The event was put on by Gustavo’s Kitchen and Amigos de Mazatlán, in an attempt to build community support for saving and restoring the Casa del Marino and Fuerte 31 de Marzo, and to teach us all a bit about local history. Click on any photo to view it larger or see a slideshow. One of my favorite parts of the afternoon was that each table was covered with brown butcher paper, and the peel-n-eat-shrimp were theatrically dumped on each table from a bucket at the top of a ladder. Great touch and very fun! (Please try to ignore that fun-loving woman screaming at the end of the video below…) It looked to me that about 200 people attended, and Judith, Gustavo and Gustavo Senior tell me that the event was such a success that they plan to hold it again next year. How often do you get good gumbo in Mexico??!! Call us lucky! A trio played live music, including both Latin and jazz, the children from the Salvation Army Home performed folkloric dancing, and Antonio Lerma and Nicolás Vidales told us, in English, the history of the battle with the French that took place here, dispelling some myths in the process. Gustavo Sr’s wife, Silvia Lorda, and the inimitable Rubye Hinton both graced us with their singing. I didn’t realize that Silvia had such a terrific voice! AngelTouchFilms published a wonderful short (30 second) video about GumboFest, with terrific New Orleans jazz, me eating an oyster, and loads of other smiling happy people. Enjoy it, below! Congratulations to everyone involved! Can’t wait for next year! 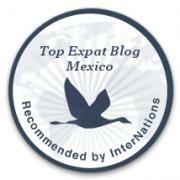 A most excellent site on Mazatlán history, everyone, put together by Gustavo Gama Sr.